Happy Valentine's Day!! My internet has been very spotty the past 48 hours so I need to make this post short and sweet! I created 2 Valentine cards that a little more on the 'masculine' side, mainly they just aren't pink and red. 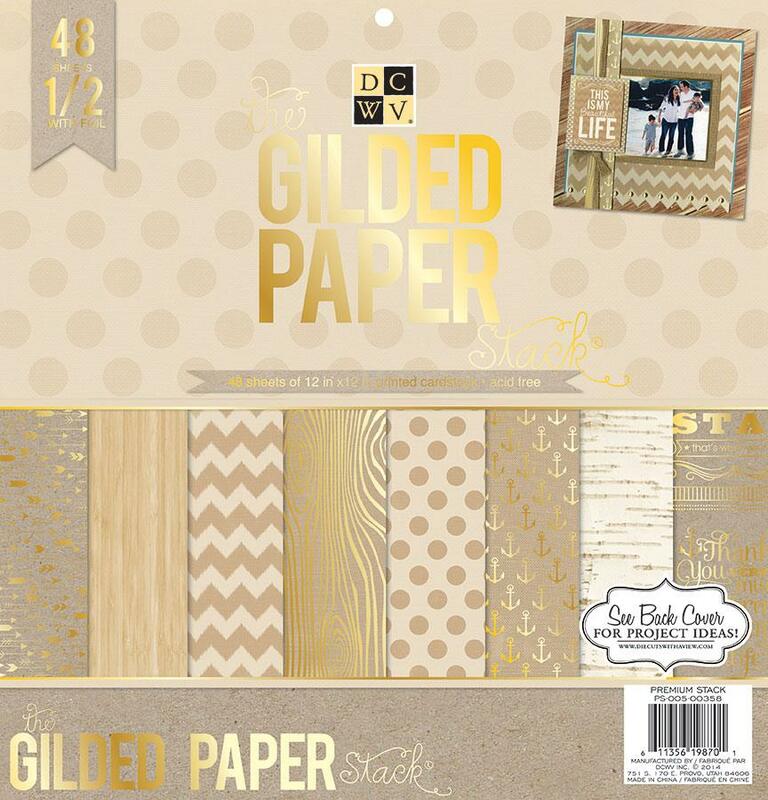 For both cards I used the new "Gilded Paper" stack from DCWV. This first card will also be linked up with today's Unity Friends with Flair! Along with the sweet paper from the Gilded stack, I stamped many different Unity stamps in Delicata gold ink. I used "City of Love" for the sentiment, "Woodgrain Script" for the background, and "Here for You Map" for the hearts. This card only uses paper from the Gilded collection. The sentiment was from a cut apart journal card in the stack. Beautiful cards. I love this colour scheme instead of the traditional red. Nice non-traditional color Valentines! LOVE the papers! DCWV always has good papers for you to cut up! Gorgeous designs in gold. Beautiful style. Such beautiful papers. Love them! Why didn't I think of gold for valentines? It looks great! Great designs... no pink or red required! Wonderful card designs!! Love the colours, Rachel. Have a great weekend! Love these designs! Great cards, Rachel!